Ekol Opens A New Block Train Between Belgium & Italy! 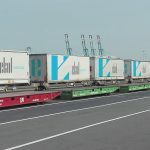 Just 3 weeks ago Ekol Logistics announced opening of new block train connecting Budapest with Cologne that was the first train solution in Ekol East-West corridor and now the company is announcing the launch of a new block train between Zeebrugge, Belgium and Trieste, Italy. 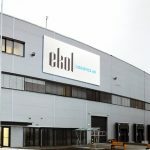 This new connection continues to support the Ekol network expansion in the South-North corridor to link its strategic markets. We keep executing our strategy to offer more and more intermodal connections inside Europe. 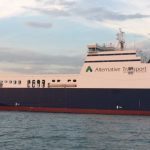 We connected the Mediterranean with the Baltic sea by the Trieste-Kiel train in January 2017 but now we are very glad to offer to our customers a new direct connection between the Mediterranean and the North Sea. This new block train will be the first direct train that will connect Turkey, Iran and the Middle East with the Benelux countries, France and all the UK (England, Scotland, Wales and Ireland) in a totally green mode without using a single driver. said Alaa Jennane, the Director of Engineering Business Development of Ekol. The train will leave EMT Trieste Terminal two times per week. 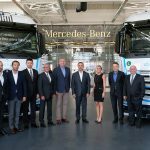 This new solution will allow for transporting different types of equipment like Mega trailers, containers and swap bodies. Thanks to cooperation with the Zeebrugge port and our strategic partner P&O Ferries, we can transport shipments using P&O Ferries to different key regions in England (Tilbury, Hull, Teesport) and to other destinations with other partners. It makes us really proud. 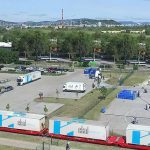 This service will be operated by Hupac and is expected to carry around 5,000 shipments per year for Ekol. 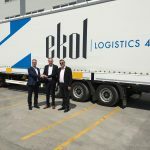 Hupac is very pleased to welcome Ekol on this new Intermodal Line. Together with all parties involved we managed to develop a cutting-edge service to directly connect Turkey with the UK within very competitive transit-times. Hupac deploys its own modern wagon fleet and manages the day-to-day train operations. This new service shows again that multimodal can be a great alternative to pure road transport. We are delighted to announce the launch of this new train to Zeebrugge which will further enhance our integrated rail and ferry service linking the entire continent of Europe with Britain. We expanded our operation at Zeebrugge last year so that now we have capacity for 700,000 units per year and can continue to grow. Intermodality is of high value to our port. The Port of Zeebrugge encourages and supports intermodal business solutions between water and rail. 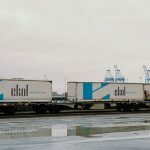 The launch of this Ekol block train is a reinforcement of our connections to Italy and further destinations and is an expansion of the complete offer of direct and indirect intermodal connections in Zeebrugge. explains Joachim Coens, CEO Port of Zeebrugge. Thanks to this new Ekol block train Ekol will save 15 000 trees every month and enough fuel to go 9 times around globe. 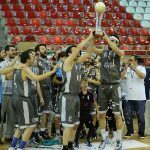 Offering environmentally friendly solutions is the key point in Ekol strategy. 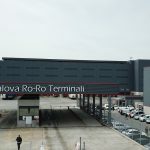 Last year Ekol acquired shares of the EMT port in Trieste and announced the development of more intermodal connections from Trieste. So, this new train is also part of the strategy to develop this port.